I haven’t blogged for a while, namely because I’m conscious of how many unnecessary blogs there are out there anyway, so I decided to only write again on here when it was about something I felt truly passionate about. 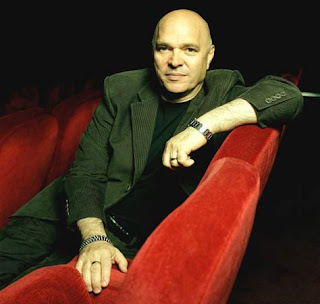 The most recent spark has come from the anniversary of Anthony Minghella’s death a couple of days ago, on 18th March. I am learning more and more as time goes on the huge influence he had- not just as a director but also as someone who gave offered rare insights into the creative process. I was fortunate too that my own life was, in some small way, impacted by him. Like me, he was born on 6th January, raised by Catholics on the Isle Of Wight and he too, rather unconventionally, travelled over the water to school every day by hovercraft to attend St Johns College in Southsea. I first heard about him as a young teenager, when I was just beginning to write. One night my mother and father attended a charity event at a rather salubrious establishment on the Isle Of Wight, which he was hosting. My mother- always one with an admirable sense of occasion- approached him that evening and asked if he would write a couple of words of encouragement for her fledgling writer of a son. I still have the signed running order on which Anthony Minghella wrote to me, in which he encouraged me to ‘keep writing- no matter what.’ Dotted amongst this signed running order were details of the readings Juliette Binoche, Jude Law and Kirsten Scott Thomas were variously giving of his work throughout the night. This little signpost to another world, this little scribbled missive that my mother dutifully passed on to me the next day- it blew me away. To think that these charismatic, arresting actors, and the man who directed the English Patient had all been here- on our little island! Talking to my mother! It was so inspirational, and I still keep the note on my desk even now. At the time I struggled to understand The English Patient- I was probably too young to connect with it fully. But something about its visuals, and its uncoiled, rich lyricism resonated with me. As years passed, I began to absorb his work more, and more, and when I sat down to write my first novel many years later I soon realised that his influence absolutely saturated it. More than any other director, to my mind he used actors and actresses who were not only skilled communicators- expressions of lives real or fictional. But his actors were also living symbols, signposts to another world- an evocative world of glamour that I wanted to inhabit. In his wonderful Media Masterclass (you can watch it on youtube here- http://www.youtube.com/watch?v=-ihVndJm_yM&feature=relmfu) he espoused the need for art to be ‘useful’- and such statements still make me want to physically jump up in agreement. To me, his work was so useful because it deftly created worlds one could not only define themselves within but also aspire to. His vision of Italy in The Talented Mr Ripley is definitive to me. 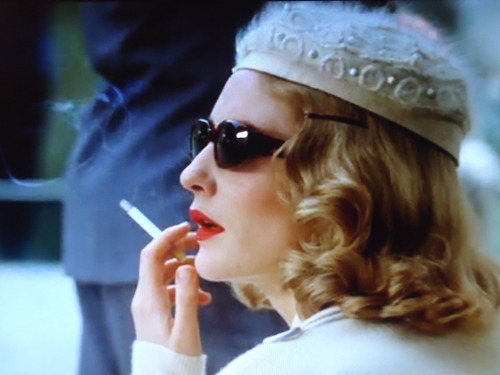 In The English Patient the world his characters occupy- often on the weed-infested fringes of another, suddenly broken world- are just as evocative through their distance from ‘reality.’ They speak of the worlds our own nature will create when left to its own devices. The scenes in which Juliette Binoche tends to an ailing patient in a ruined mansion, playing hopscotch alone as night falls- it was a completely encapsulated world. Like all great art, his work makes us feel more acutely. With no other director have I had the sense of a vision so perfectly realized in every single frame. His work, I feel, makes the viewer more empathic, more sensitive, ultimately more completely expressed, if only in inspiring them to reach for something better. I can only hope that we continue to look to his work as a culture, because I think within it he consistently captured an essence which we neglect too readily. An essential essence, a kernel of something aspirational, which I feel we must ensure that we not lose sight of.